Have a love for music? 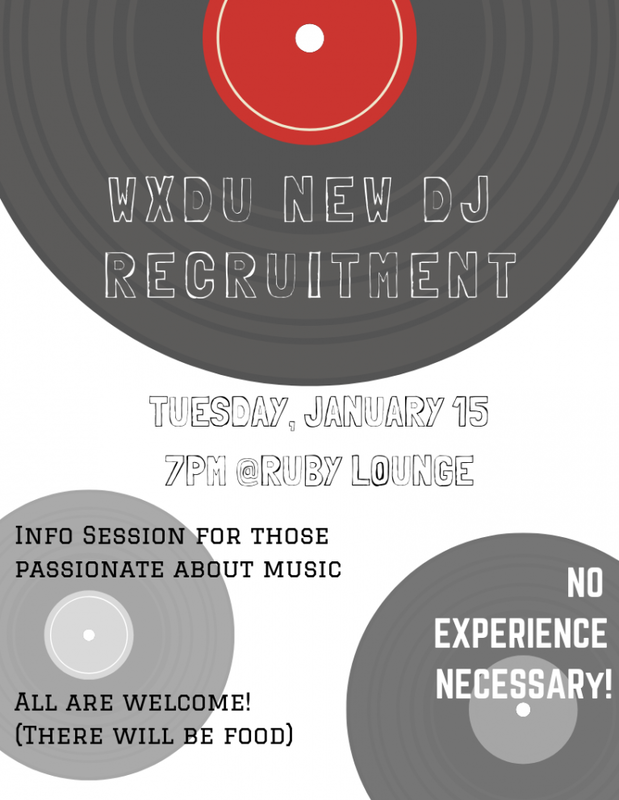 WXDU is hosting an info session for anyone interested in becoming a radio DJ! No experience necessary and all are welcome. Join us Tuesday, January 15th at 7pm in the Ruby Lounge. There will be food!